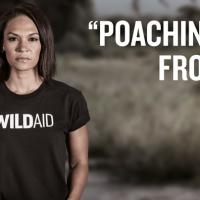 HONG KONG (WildAid)-With an increasing trend of major wildlife smuggling passing through Hong Kong and last week’s record seizure of rhino horn en route from South Africa to Malaysia, Hong Kong Legislator Elizabeth Quat called on her government to step up its approach by investigating wildlife crime under the Organized and Serious Crimes Ordinance, which would allow authorities investigate international crime syndicates rather than just seize products. “I hope that the [Legislative Council] Security Panel will follow up on the incident and ask the Government to include illegal smuggling of wild animals and plants into the Organized and Serious Crimes Ordinance and to require law enforcement agencies to step up their efforts to crack down on the heads of criminal groups that smuggle wildlife,”Quat said in an April 7 statement. Last week, Hong Kong customs seized 82.5 kilograms of suspected rhino horn and rhinoceros horn cuts with a market value of about $2 million USD – the most in five years. The case was referred to the Agriculture, Fisheries and Conservation Department, which means authorities will not necessarily investigate and prosecute criminal syndicates and networks that smuggle wildlife. Most smuggling offenses in Hong Kong are now prosecuted under the Protection of Endangered Species of Animals and Plants Ordinance (Cap 586). But under Schedule 1 of OSCO, investigators could look into areas such as money laundering regarding wildlife crime, whether the offense occurs inside or outside Hong Kong. 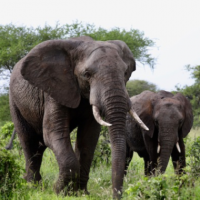 Since international crime syndicates commit most wildlife crimes, the additional investigative tools would help authorities better connect the dots and prosecute crime bosses. 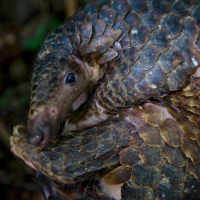 Hong Kong is a global hub for trafficking ivory, rhino horn, shark fin, pangolin scales, and other wildlife products. 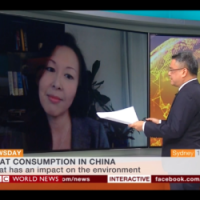 In the past five years alone, Hong Kong has seized illegal ivory, pangolin scales and rhino horn smuggled goods, the equivalent of hunting 3,000 elephants, 97,000 pangolins and 51 rhinos. 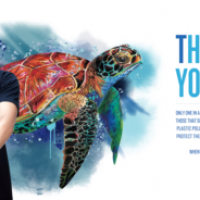 As part of its efforts to reduce consumer demand for these animal products, WildAid has placed hundreds of billboards featuring well-known celebrities such as Jay Chou, Yao Ming, and Bowie Wu throughout airports, subways, buses, and shopping centers across Hong Kong. 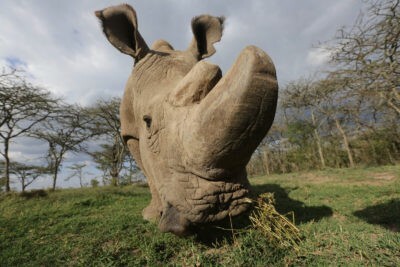 Bans on the trade of rhino horn in China, Hong Kong, Taiwan, and Singapore, combined with increased public awareness campaigns, have reduced demand for rhino horn and recent reports indicate poaching has decreased by 25% in South Africa, but still, almost 1,000 rhinos are killed each year for their horns.